If you have a website that you want users to trust, it has to be secure. But what does that mean – how can you be sure that your site is secure? Once you understand the basic framework and reasons behind SSL certification, you can have absolute confidence in your website’s security. HTTP:// VS. HTTPS:// – WHAT’S THE DIFFERENCE? In a nutshell, the “s” signals that a website is secure. Any information or data shared between a user and the website is encrypted and safe. SSL – Secure Sockets Layer – is the technology behind that “s.” With the release of Chrome 68 in July 2018, Chrome began flagging all HTTP sites as “not secure.” And let’s be honest, the best way to get users to flee from your site is to have that bright red “not secure” alert next to your domain: (Image: ServerGuy) So obviously that’s not what you want – getting an SSL certification ensures that your site will never be flagged with that alarming message again. Sweet relief. Think back to why you built a website in the first place. 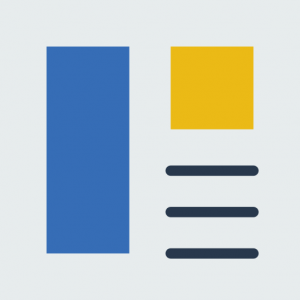 What does your site offer users – information? an online store? services? Whatever it is, you need users to trust your site in order to benefit from it (and in order for you to see positive ROI). In fact, HubSpot research shows that up to 85% of people will stop browsing if a site is not secure. Want your website to be competitive and successful? It needs to be SSL certified. It’s not surprising that SSL has a positive effect on SEO. Google wants to protect users with a more secure web, so it makes sense that they made SSL a ranking factor. It might not automatically boost or improve your organic search rankings, but SSL is definitely a best practice for SEO. And if your site is SSL certified and your competitor’s isn’t, you’ve got a much better shot at beating their rankings. HOW DO I GET MY WEBSITE SSL CERTIFIED? A lot of people assume that getting SSL certified is difficult, expensive, and unnecessary. This couldn’t be farther from the truth. An SSL certificate is actually a small investment considering the overwhelming benefits. Having an SSL certificate properly installed and maintained on your site costs as little as a couple hundred bucks per year. So even if you are a relatively small business, this investment could pay for itself after just a few sales. By hiring a professional web developer to implement your SSL certification, you save yourself time and hassle. 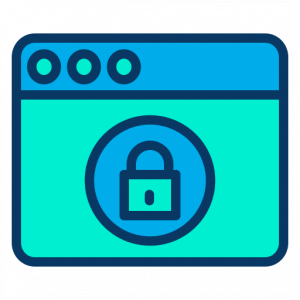 Here at Imavex, we can get SSL up and running on your site in no time – all you have to do is reap in the benefits. If you’ve been holding out on SSL certification, now is the time to make the switch. Your customers will thank you. As your experts in all things web development, we’re here to answer any questions you may have regarding SSL certification. Contact us to learn more about our SSL certification service.